Release Date: October 20, 2015 - today! 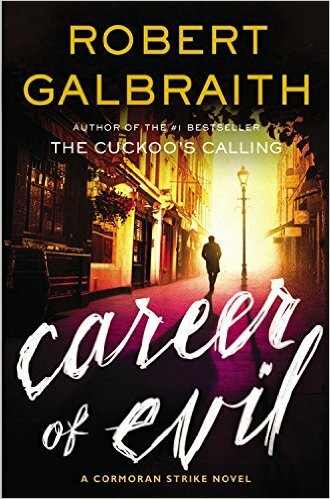 J.K. Rowling delivers her third installment in the Cormoran Strike detective series. The Cuckoo's Calling was a true page-turner and well-crafted (read my review here), The Silkworm was decidedly gruesome and stomach churning (read my review here), so readers have had fair warning for whatever the author delivers next. Rumor has it the book includes a postal delivery of a woman's severed leg. Disgusting. I peeked at a review to see how critics are responding to Career of Evil and one writer called it her best yet--very exciting news!